Charles (Charlie) Hiltunen is a seasoned veteran with a deep understanding of both the people and process side of regulatory, legislative, and business affairs. 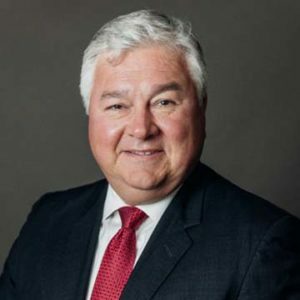 He is a Christian, father, community volunteer, attorney, lobbyist, and strategic business advisor who has been active in government and business affairs for over 35 years. He has served in both the public and private sectors, including service as Counsel to the Majority in the Indiana House of Representatives. His representation has included Not-For Profit Organizations, Fortune 500 Companies, National Trade and Professional Associations, State Organizations, and Foreign Governments at the state and national level. Through his involvement in politics and advocacy on behalf of a diverse clientele of global, national, and state organizations, he has built an extensive network of business and political connections. His experience, contacts, and creative vision allows him to offer a unique advantage for business partners and clients through his well-honed skills in strategic planning and alliance development. Mr. Hiltunen has served on numerous boards, including Volunteers of America, Immaculate Heart of Mary Parish Council, National Guard Foundation of Indiana, Indiana Youth Shooting Sports Foundation, and the Indiana State Rifle and Pistol Association. He is active with the Boy Scouts of America (Crossroads Council and Troop 174) and volunteers time outside representation for Indiana Minority Health Coalition and the National Guard Association of Indiana. He also is a Certified Pistol Coach for the Scholastic Action Shooting Program and holds various firearm instruction certifications. He has been awarded the National Guard Association of Indiana Major General Martin Umbarger President’s Award and other awards for his service in the not-for-profit sector.